The Internet is full of bike-specific sites, some better than others. This site is non bike-specific, it is intended to bring people together who have a common interest, Motorcycling. We don’t want to sell you a Magazine, we are not affiliated with any manufacturer and therefore have no preference. Adventure style bikes are very popular in the UK, Europe and the world over and are becoming more popular all the time. This site hopes to be a place where owners of various makes of bike can share experience and knowledge, benefit from supplier discounts and join organised meets. This site has a UK bias but Riders are welcome from all over the world. Please register and join our Discussion Area for technical advice, organised rides, meetings and great banter! The BBBMCC was formed in 1979 by a group of motorcyclists from various other Bike clubs in the Buckingham area. Motorcycle bulletin board and information about speed traps. Bikers4Macmillan are a fundraising group raising money for Macmillan Cancer Support through the common ground of an interest in Motorcycling. Have a nose around and see what you can find, there are loads of pictures in the Galleries to show that we don’t take ourselves too seriously. After all, we’re bikers that raise money not fundraisers who ride bikes. The BMCT is a Charitable Trust dedicated to promoting and supporting the preservation and restoration of our British motorcycle heritage. By identifying and securing rare and significant British motorcycles, and providing for their exhibition to the public, we aim to protect and preserve these important machines to educate, interest and inform on this aspect of our social and sporting engineering heritage. Welcome to riderspace, the website of Britain’s largest rider group, the British Motorcyclists Federation. From novice to enthusiast, we’ve got something for you – and it’s all here! The BMF – protecting your interests – it’s what we’re about. 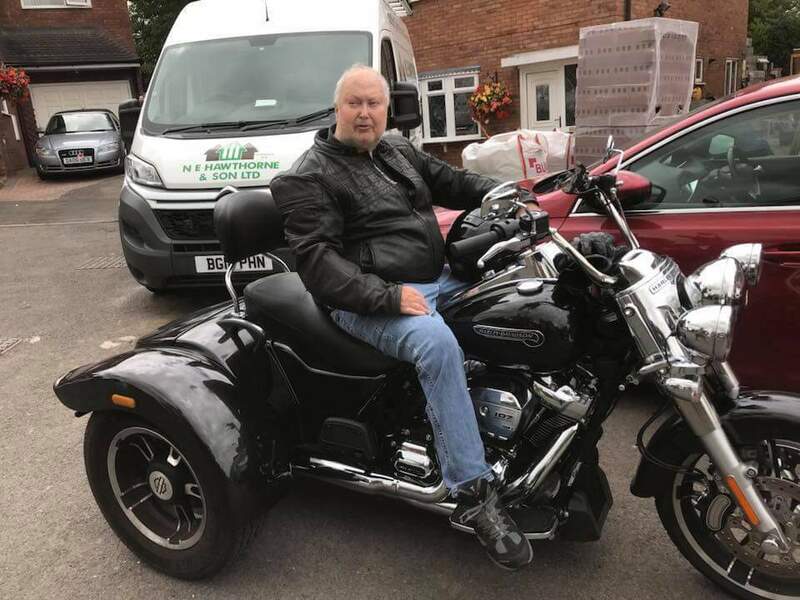 East Midlands Bikers Club run by bikers for bikers!We are a friendly biker club in the heart of the Midlands passionate about motorcycling!New club members very welcome. Information about the UK Owners’ Club for the Yamaha FJ1200 and FJR1300 motorcycles. Contains news, history, events, links to local branches and a question and answer bulletin board. Home of the Honda Hornet Owners Club. The International Motorcyclists Tour Club, For any one who enjoys motorcycle touring and travel with friends, we are the touring club for you. Rally stories, badges, photos, club activities, member lists and magazine (Megaphone) snippets since the 60s. New content added all the time. We are a group of riders based around but not exclusively to the Leicestershire area, we welcome anyone. We have regular visitors from all around the UK and abroad. We pretty much cover all sorts of riding, though we started from a small group of off road riders. As we grew we now encompass most aspects of two wheel riding (we say two wheels as some of our members don’t even have engines in their bikes!). We still have an active core of off road riders and generally organise at least off road ride out per month, with several members also competing regularly in enduros. Many members also have road bikes and have toured across most European countries as well as further afield. The Motorcycle Action Group (MAG) was formed in 1973 to campaign for voluntary crash helmet use. Since that time MAG has broadened the scope of its activities, making MAG the leading body campaigning on behalf of motorcyclists in the UK. Charity site giving details on how to adapt your bike to cater for specific disabilities. Motorcycle Photo Classifieds, motorcycle news, motorcycle parts, motorcycle events, articles, stories, photo reports, new Love Ride Photos, 2005 Motorcycles, Harley-Davidson, Honda, Yamaha, and Suzuki street motorcycles. – Internet resource for all north uk based motorcycle riders in the UK. The southwests Leading Motorcycle information website. Forums, Events, rideouts and lots more! Rivington Barn Online Biker Community has all the things a good motorcycle site should have from a forum with lots of good posts to it’s own games server, pictures, info on ride outs & meeting places. The Rounders are men and women who enjoy their motorcycles so much they ride them year round. The online home page of the Stoke on Trent charity motorcycle runs & the Star Bikers club.The UK’s longest established Egg & Toy run events. Also a local & national resource for bike riders. A UK based protest group forcing change in the laws associated with motorcycle theft, prosecution and sentencing. You want change? We demand it! The TRF is the National, voluntary and non-competitive body formed in 1970 by people who enjoyed exploring ‘green lanes’ by motorcycle.Our aim is to conserve our heritage of green lanes for everyone to enjoy. Triples Online provides a variety of information about the BSA & Triumph Triples. The latest addition is the Triples Forum – a place to ask (and answer) everyday questions about Triples. TOMCC. General information, how to join, all the branches, where the branches meet, contacts. UK Monster Owners Club. For all Ducati Monster owners. Over 1000 members in this FREE web – based club. Many regional monthly meets – and also a National weekend held each year. The Virago Star Owners Club (UK) is dedicated to the promotion and protection of Yamaha XV motorcycles, it’s owners and rider, and to that end it has established twenty Regional Centres and Representatives across the UK. Offers news, events, picture gallery, joining information, and a bulletin board. Wales & S.W. ST Riders Association. International organisation of women involved in motorcycling. The Yamaha Motorbike Community. For owners and enthusiasts of classic and modern Yamaha performance motorbikes around the world. Our Club offer discussion forums, parts reviews, plus news, articles and more.